Catching up on its declaration a month ago, Facebook has started taking off 360-degree photographs that anybody can upload simply like a general picture. Facebook says you basically need to catch a scene on your mobile – or catch a photograph with a legitimate 360-degree application or camera (like the Ricoh Theta S) – and then upload it like you would any other image. The pictures will demonstrate an enlivened "360" icon on feeds to let your friends know they can play around with them. It’s not clear how Facebook will handle incomplete panoramas though. I’ve rarely taken a panorama that goes all the way around, so I’m not sure whether Facebook will try to interpret such images as a wraparound image, or just allow for the partial view. The organization says you'll be able to watch 360 photographs with VR headsets too. Lamentably there's no backing for Google Cardboard yet, which is an a great deal more available headset, yet we trust that is simply an issue of time. 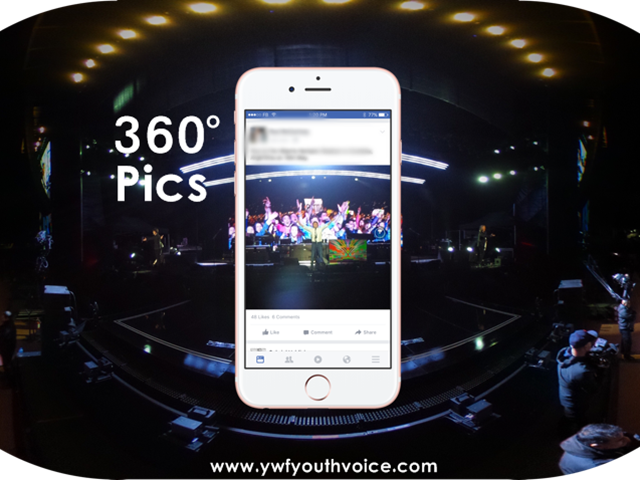 Facebook initially included 360-degree video in September, and the stills form works correspondingly. You can snap and-drag with your mouse or move your telephone around to look over a scene. The point of preference for photographs is that essentially anybody can catch them, as the vast majority have either an Android or iOS cell phone. The availability of 360-degree photographs on Facebook may very well accomplish more to advance VR and immersive encounters than whatever else in this way. 360 photographs from a few partners like the New York Times and NASA can be seen on the Web, iOS and Android, however Facebook says you'll need to hold up a couple of more days to transfer your own.